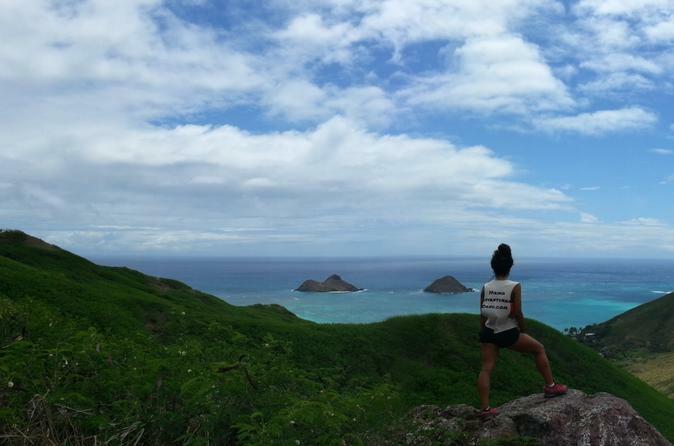 Be ready to explore the beautiful east coast of Oahu! Remember with us, tours are limited from 2 to 4 people and you help set the pace. This tour is packed with breathtaking activities such as hiking, beaches, lookouts and possible snorkeling. This tour is recommended for those active people who enjoy the outdoors and like to pack many activities into one day. Enjoy an on time pick up at your desired location at 7:30am in a comfortable climate controlled SUV. The first stop is at the Diamond Head lookout where you'll watch the local surfers and enjoy the ocean view. A drive through the "Beverly Hills" area is next, then off to the east side of the island for exploring. We'll visit the spitting cave, china walls and the lookout over Hanauma Bay. There are 2-3 possible hikes to choose from on this tour. If the tide is low, we'll visit a secret beach where a famous TV show was filmed, do some swimming and enjoy the beach. If time allows we'll stop by the Macadamia Nut Farm and then finish the tour with the Pali Lookout or Tantalus lookout.